However Improbable: "I'll be doing whatever frozen things do in SUMMER!" "I'll be doing whatever frozen things do in SUMMER!" I'm going to get so many spammers because of that title. I just reviewed the Ascendance Trilogy on my review blog, now I want to reread all three books. I'm tempted to give that look to people at work sometimes. I don't remember this part in the movie. Someone please tell me this scene wasn't in the movie. Because if it was than it means I slept through it, every single time I saw it. I wantssss one of these now. I really say wantsss like Gollum in real life. 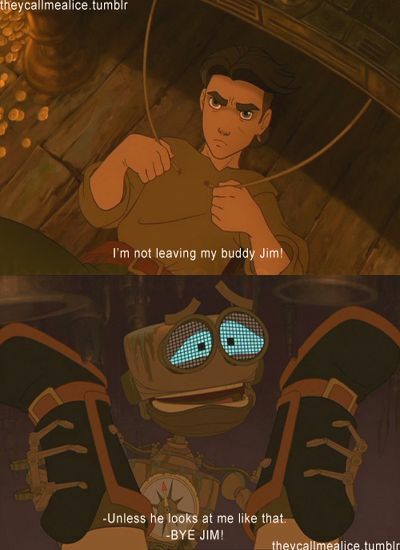 Because there was NO way I was going to post Treasure Planet pictures and NOT do this one. If you don't get this we can't be friends. If we are comparing me to Disney characters - Jim might not be Disney. If he isn't don't throw things at me, I have the flu and a fever and I can't think clearly. 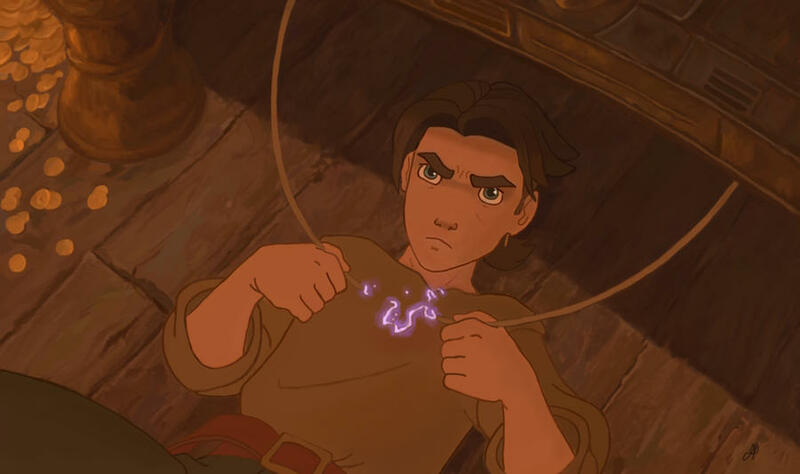 (Which is why I am rambling about nicknames and Treasure Planet.) Anyways, we'd have to compare me to Olaf. Because I am more alike him than should be normal. It warmed up here...finally. It wasn't really warm, but it wasn't freezing. And I went outside, and I didn't shiver. And I didn't know what to do with the warmth. 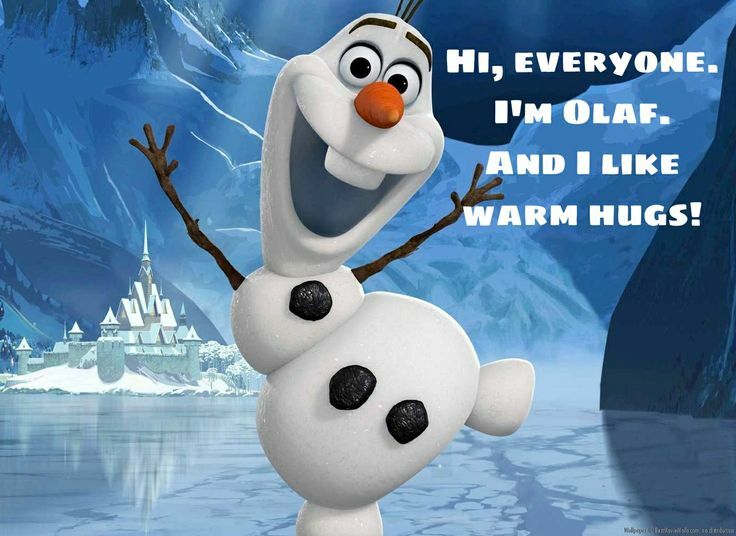 So....I've been singing Olaf's song all day. But if I get theme songs, and I get to be Jim, then I want this one too. Because I like it for some reason, and I'd love to creep up behind someone and go, "I'm still here," in a creepy, Evil Overlord voice. Back to the Olaf comparison. Actually, this hug would make me happier. Hear that, Ben? Come visit. Things like this happen so often it gets really awkward. Life needs to be less confusing. I got in the Disney mood with this post. I am now listening to Disney songs. I'm going to stop talking now and go read till I fall asleep. And then I am going to sleep and sleep because I don't have to work tomorrow. I'm going to try and not sleep all day though, because there is this thing called finals coming up, and one of them wants a paper....and I don't know why I rambled about it, because it isn't very interesting news. Moral of this? I shouldn't post while I have the flu. But I think we all knew that already. This was a fun post to read. I've never seen this movie. Get well soon and I hope finals go well! Naw, posting while sick is often the best time to post! ;) Hope you're feeling better! 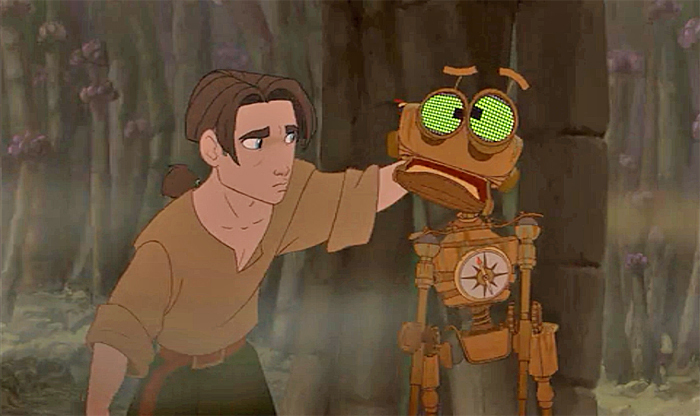 TREASURE PLANET! I haven't seen that in forever! NO! That scene is NOT in there! Ugh! Definitely photoshopped unless Disney made some bizarre sequel... which I doubt. I'm singing that, too. In Summer is one of the best songs from Frozen, but I'm so disappointed that people don't like it more. For some odd reason, it falls muchly under the "least favorite" category. WHAT'S WRONG WITH A SINGING SNOWMAN?? This post was muchly amusing, Jack. Your flu thoughts bring happiness to this corner of the world, though I AM sad that you have the flu because the flu is the worst. So get better soon! I LOVED this post!! It was so much fun to read :) :) Yes, I have accepted it. I am Ben. And I am dysfunctional. And I have lost my mind due to long exposure to fandoms, especially Sherlock. I can' help that my minds been fried - its those stupid writers who are to blame. That scene is not in the movie. Maybe there is a second one. 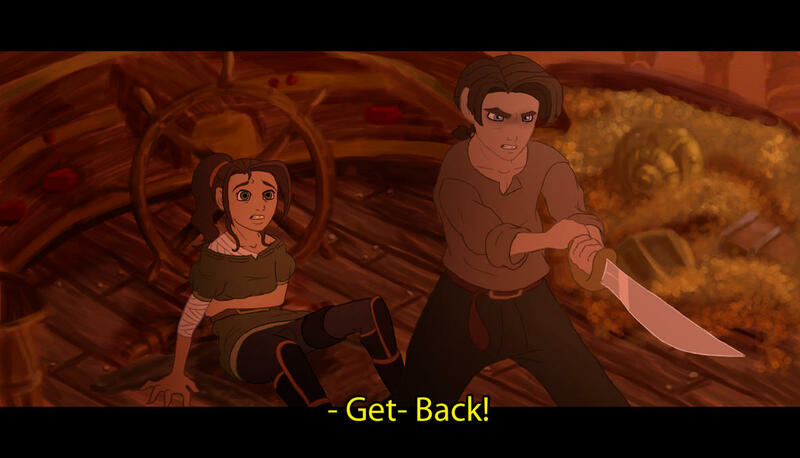 But in Treasure Planet that never happened. Think it's funny you are Jim and Ben. 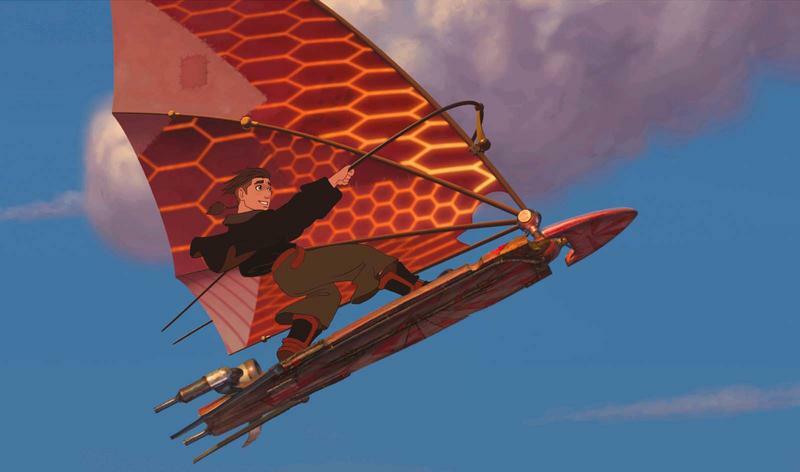 I love Treasure Planet! And, as everyone else has affirmed, that scene is not in the movie. No idea who the girl is. I'm sorry you have the flu! :( No fun at all! OHHHH! 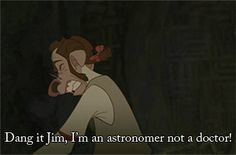 I LOVE TREASURE PLANET! Yes, it is Disney and no, that scene was never in it. I don't even know who that girl is. YES! 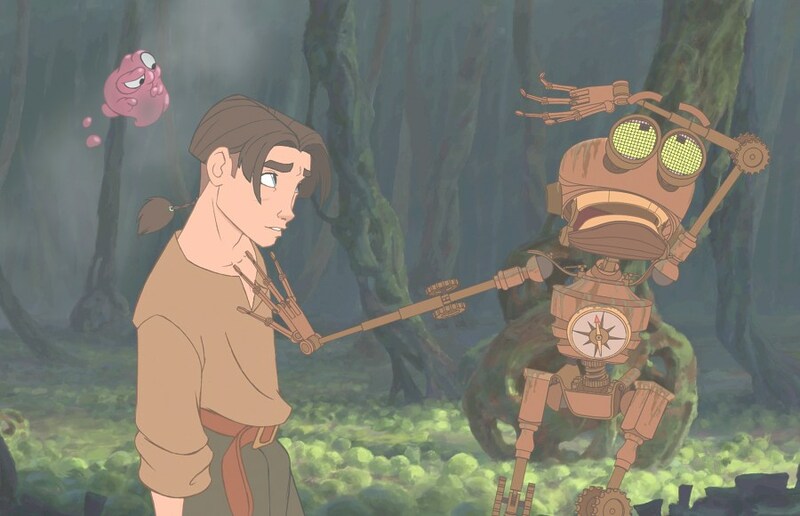 Watch Treasure Planet and love it!